Birthday, Group and Corporate outings are welcomed at Two T’s. Two T's is so much more than just a Miniature Golf course! Founded in 1995 from a former farmstead in Forks Township, Two T's has grown to become one of the Lehigh Valley's premier Family Entertainment Centers. Providing affordable family fun for all ages, visitors from far and wide have given rave reviews of the attractions Two T's offers. The 18-hole, outdoor Miniature Golf course is a perennial favorite with its garden-style landscaping and towering Maples providing ample shade. 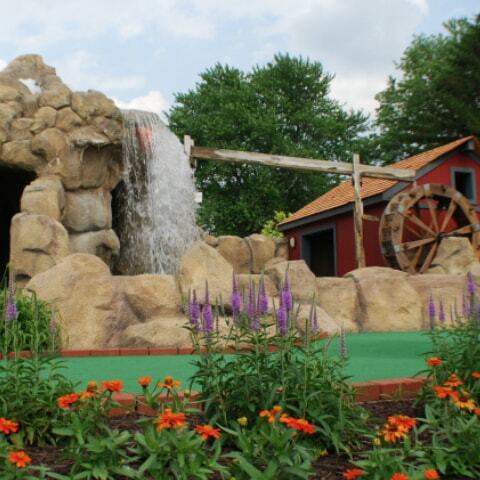 Two T’s Golf Course is considered to be the finest outdoor miniature golf course in the Tri-State region. Two T's offers the smoothest, "creamy" Italian Ices, a wide variety of ice cream flavors, hand blended shakes, sundaes and more to satisfy your sweet tooth! 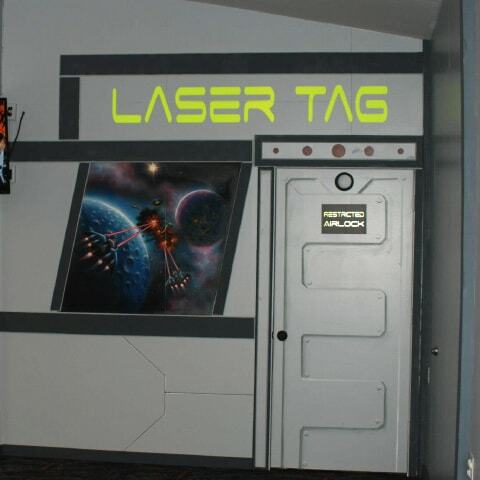 Our two-level arena design provides 2 to 18 players with the perfect setting for a Laser Tag match among the stars! Our Indoor facility provides plenty of air-conditioned fun for everyone! Created in 2012, the Glow-in-the-Dark 18-hole Mini Golf is considered to be an amusement park level attraction that has to be seen to be believed. Fast-paced action awaits in the Interstellar-themed, Multi-Level Laser Tag Arena. Several lighting options and game modes are available to enhance your Hi-Tech Battle for control of the Two T's Starship. When you have the time to catch your breath, there's an arcade with modern and classic video games. Birthday parties, school, group & corporate outings are welcome in Two T's private indoor and outdoor party areas! For more information, contact Two T’s at 610-923-0599 or 610-923-7225. We wanted to send you a personal thank you after our son's 6th birthday party yesterday. The kids in attendance had a fantastic time and Caitlin and Jenna were so helpful. Everything was prepped and ready for us when we arrived and most importantly, the handling of our food to protect the 3 kids with allergies who were present was fantastic! As a parent of a peanut allergic child, it was so nice to be able to have a party outside of our house and know that my son and his friends' health were given such consideration and that efforts were made to accommodate the families. Thank you again for a great party for my son! I will recommend Two T's to all my friends! H. & D. F."
"Two T's Staff: We wanted to send you a personal thank you after our son's 6th birthday party yesterday. The kids in attendance had a fantastic time and Caitlin and Jenna were so helpful. Everything was prepped and ready for us when we arrived and most importantly, the handling of our food to protect the 3 kids with allergies who were present was fantastic! As a parent of a peanut allergic child, it was so nice to be able to have a party outside of our house and know that my son and his friends' health were given such consideration and that efforts were made to accommodate the families. Thank you again for a great party for my son! I will recommend Two T's to all my friends! H. & D. F."
Thanks for the treat!! It was the highlight of the kid's vacation with us. See you soon." "Dear Two T's: Thanks for the treat!! It was the highlight of the kid's vacation with us. See you soon." "Thank you for a wonderful afternoon of miniature golf and the Italian ice treat!" "It's always fun going golfing at Two T's. 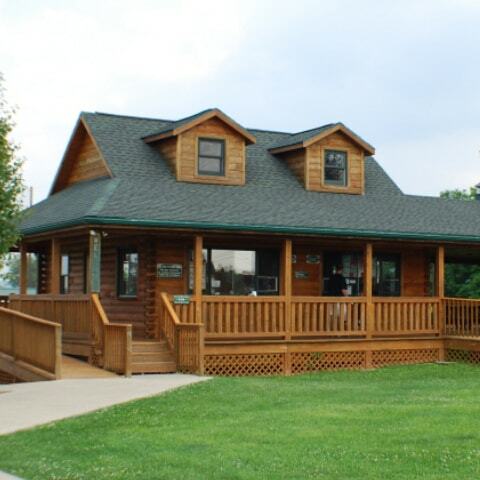 I go to the driving range, and then treat myself to a smooth water ice at the Log Cabin. I would recommend Two T's Golf Course!" Thank you for making good things happen for our church and community. Your donation to our May Tricky Tray is very appreciated! Thank you for your generous support of the St. James Hawk Walk! Indoor mini gold was amazing! The artwork is beautiful. It was good family fun. We will definitely be back! We would like to express our sincere appreciation for your recent donation for the Easton Area High School Wrestling Purse Bingo Fundraising event. Thanks to your help, our event was a huge success! Your Tricky Tray donation was a huge hit! Thank you for supporting our students. It warms out hearts to know that our community supports our students in a time when program cut backs are occurring due to increasing costs. We would like to take this opportunity to thank you for your generous contribution of your gift certificates towards our 2016 Car Show. We cvalue what you did for this cause and look forward to seeing you at our car show! We would like to thank you for your generous support and donations for the "Children's Fishing Contest". The association is certain the children enjoyed the day of fishing and great prizes they received. Built in 1998, the course offers a variety of challenging holes along with time-honored classics like the “through-the-windmill” and 18th hole “putt-for-a-free-game” lighthouse.